What you find here is 2 variety of sweet potato/yam. Coming from Hawaii, I love purple Okinawa Sweet potato. It is also know as Ube in Pinoy cooking, very popular as a dessert ingredient. There are some misunderstanding that Ube is taro, they are actually completely different. 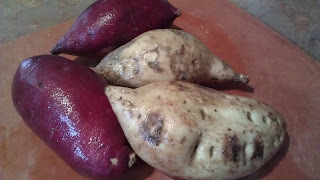 Taro is from Aracea family, while Ube is from the Dioscorea family, part of the yam family. They both are tuberous root vegetable, but completely different end use and taste. I also got some red yam at the coop yesterday, I love the contrast of the color. With vegetable that taste so good on it's own, I just want to give it a little help and highlight that simple sweetness with a dash of simple sea salt. If you don't have black lava salt, just the plain sea salt. I just like color contrast! 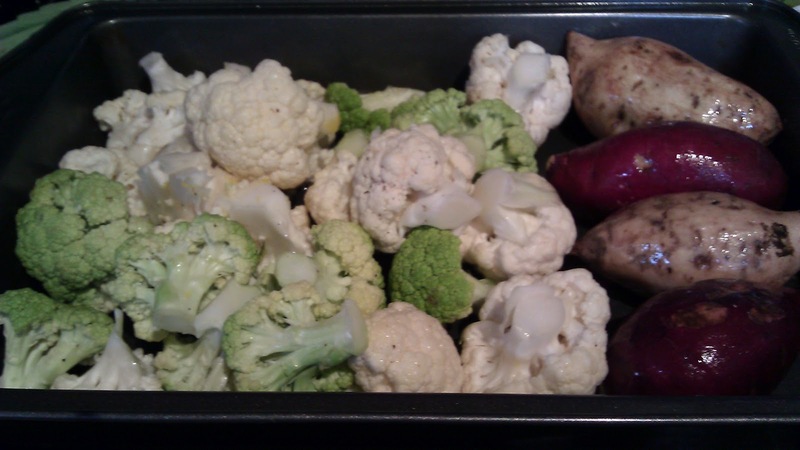 I am making a roasted cauliflower recipe. 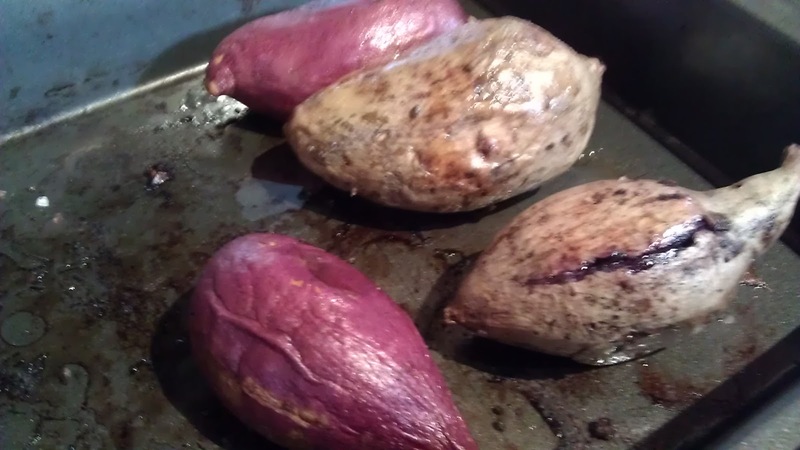 I just put the sweet potato with it and roast them together. Toss the yam with oil in a large bowl. Roast at 375F for an hour till tender. Place 1 of each of yam on a serving plate. Split the yam on the top, push on both end to "open" the yam, sprinkle with salt. 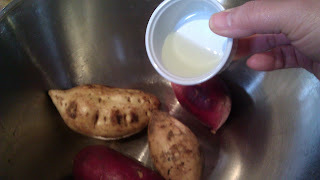 A great side dish, or I love it as a dessert or snack with spoon on the side!